On July 21, 1969, Neil Armstrong became the first human being to set foot on the Moon. 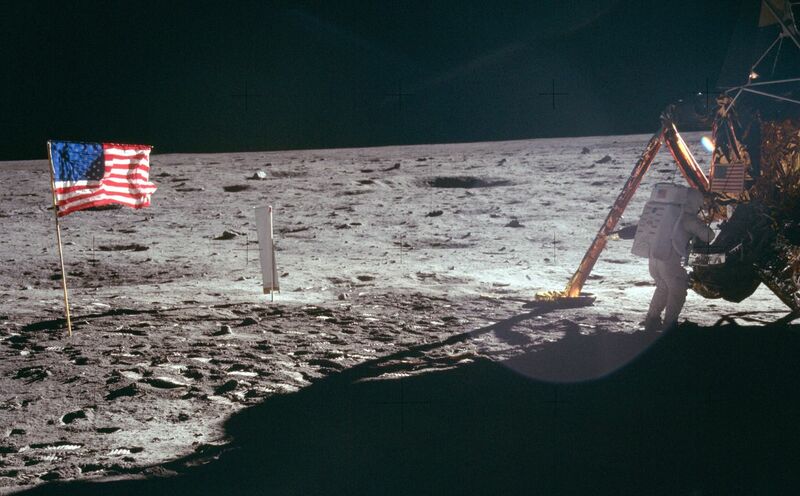 During the next two and a half hours on the lunar surface, between the two of them Apollo 11 Commander Armstrong and Lunar Module Pilot Buzz Aldrin took well over 100 photographs as they set about exploring it. Among these are two dozen photographs of Buzz Aldrin taken by Armstrong. But there exists not one usable photograph of Neil Armstrong on the Moon. 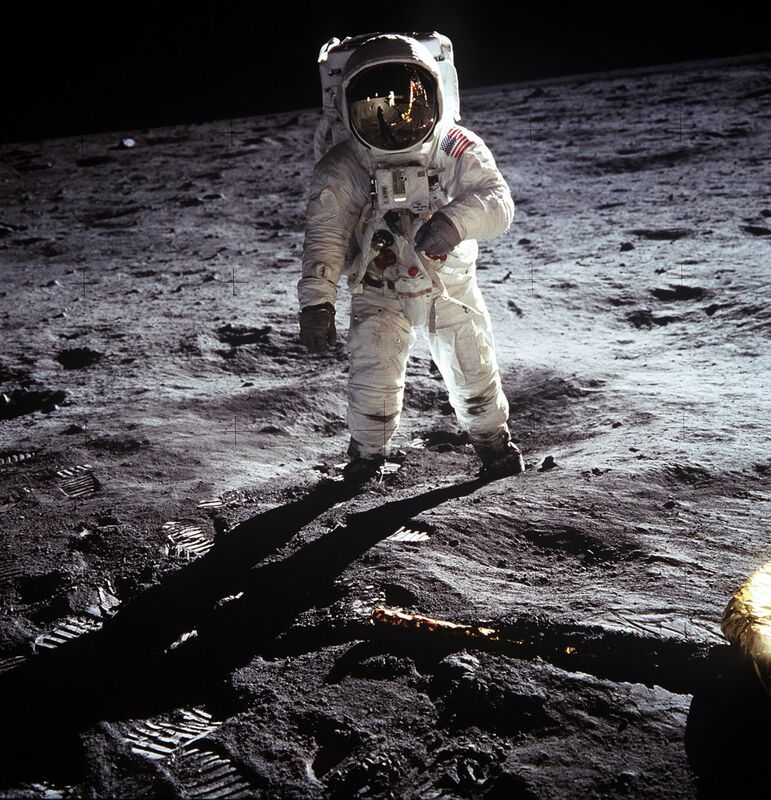 In fact, all of the widely circulated photographs of an Apollo 11 astronaut on the Moon are of Buzz Aldrin. 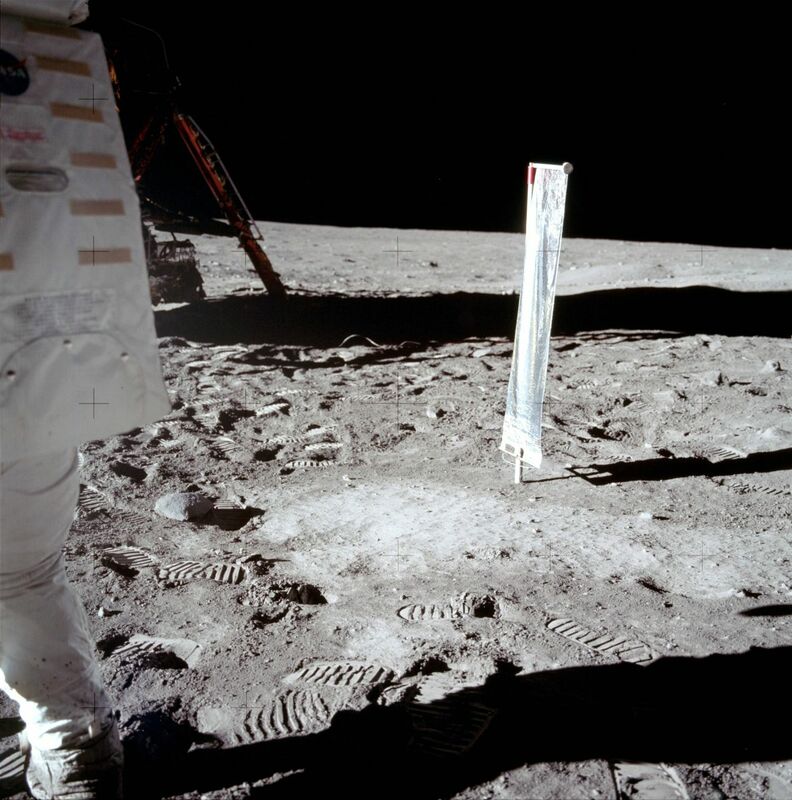 Neil Armstrong’s spacesuit (or at least part of it) did manage to make it into four of the photos taken by Aldrin during their moon walk (shown below). You can judge for yourself why almost no one has seen them. Yep, that’s it. Four apparently accidental pics of Armstrong by Aldrin and one very small selfie by Armstrong himself. So much for celebrating our first man on the Moon. 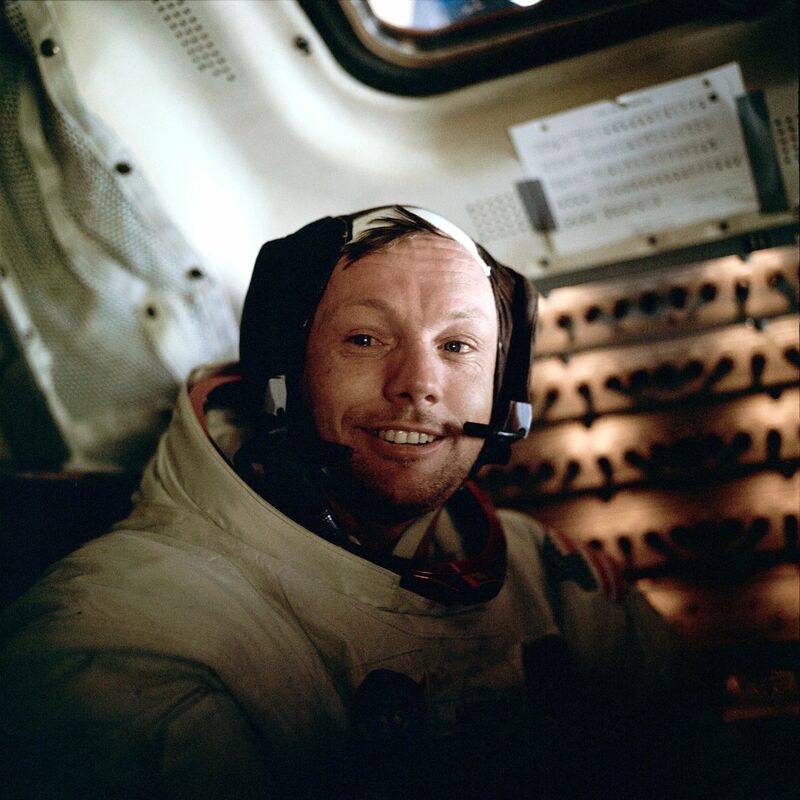 In his outstanding biography of Armstrong, First Man: The Life of Neil A. Armstrong, James Hansen asked former Apollo Flight Director Gene Kranz why he thought there are no iconic historic photographs of the first human being to set foot on another world. 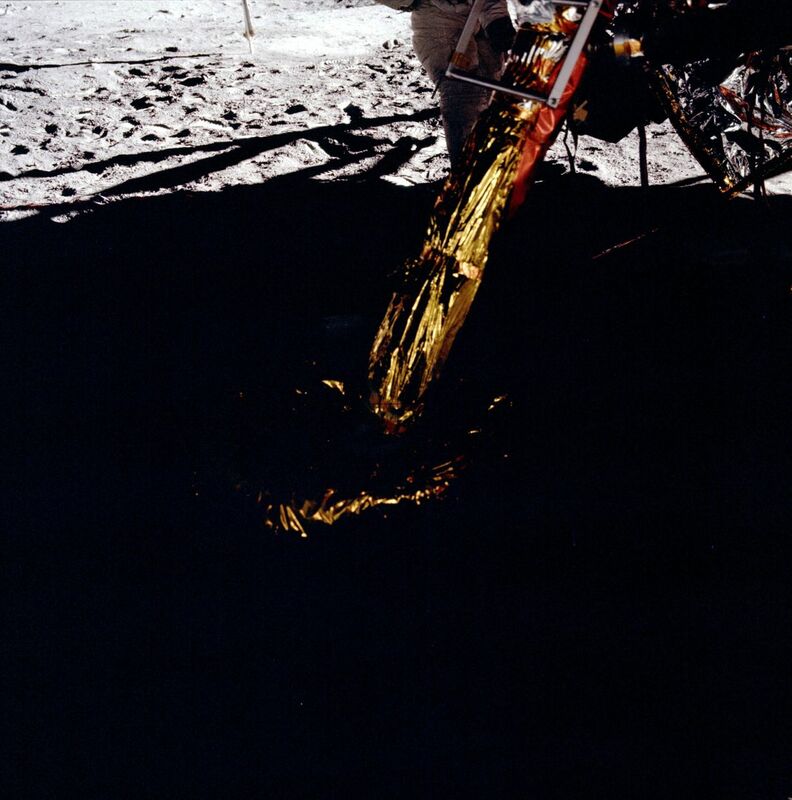 Fortunately for all of us, Apollo 11’s Lunar Module Pilot did take one clear (if belated) shot of Neil. The photograph below of America’s first man on the Moon was taken inside the Lunar Module after his walk on the Moon was over. Armstrong seemed genuinely happy at that moment. We’ll have to be satisfied with that. 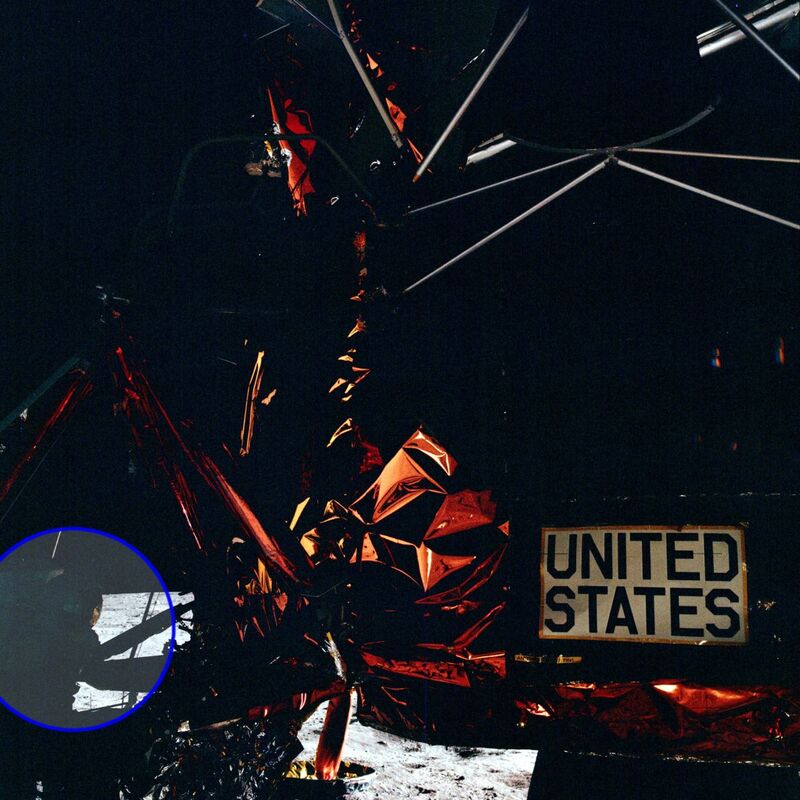 One thought on "There Are No Photos of Neil Armstrong on the Moon?" It’s not so bad, we we at least have the video footage of Neil. It would have been awesome if Buzz had taken a picture of Neil like the one Bean took of Conrad going down the ladder of Intrepid. Probably my favorite picture from any of the Apollo missions. But instead of on the ladder like Conrad when he took the actual step. That would have been epic.